The XR1064 is a constant directivity horn with a throat entry of 1 inch. The XR1064 has been developed to reach the optimum performance when it will coupled with one inch exit Eighteen Sound high frequency compression drivers. 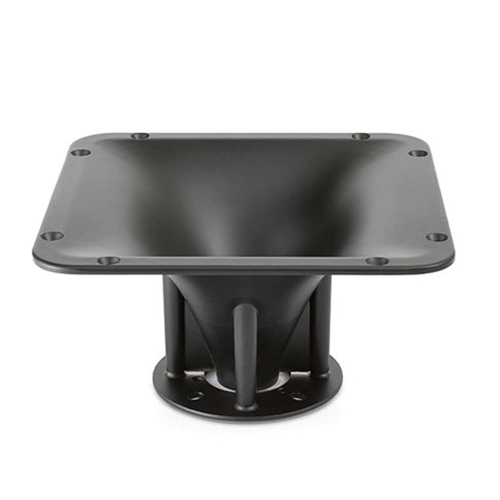 All XR horn series have been designed in order to reach smooth driver frequency response, while maintaining constant coverage and directivity and eliminating the midrange narrowing and high frequency beaming problems common of many similar horns on the market. mechanical: no need for compression driver support (like brackets), and at the same time eliminate the problem of horn resonance with optimum waterfall and impulse system behavior. Horn directivity is constant down to 1.6kHz. The XR1064 shows nominal 60° Horizontal x 40° Vertical pattern control, providing consistent on-axis and off-axis frequency response from 1.6kHz to 16kHz in both horizontal and vertical planes.